Who is the intro to rock climbing course suitable for? This intro to rock climbing course is designed for people who would like to learn the skills involved in going rock climbing outside for the first time. 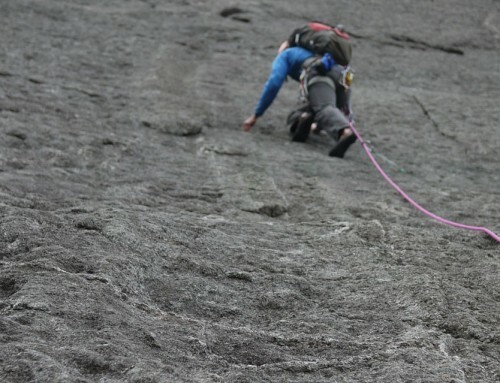 You should have done some indoor climbing and be able to tie into a harness and belay in a bottom rope situation and now be ready to try climbing outside. What does the intro to rock climbing course cover? – Two full days rock climbing in either single or multi pitch settings to suit your needs and aspirations and of course the weather. Where is the intro to rock climbing course held? We run the course in Snowdonia and use a variety of single and multi pitch crags dependant upon weather at the time. 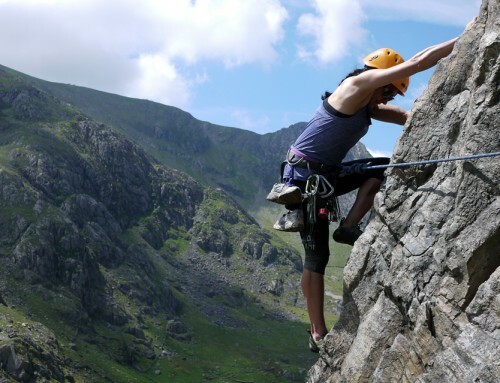 Snowdonia offers every type of climbing from roadside crags to long mountain routes and has its sheltered venues suitable for rock climbing through the winter months (the North Wales coastline being particularly good). We provide all of the specialist equipment such as ropes, harnesses and helmets. If you have your own kit you are welcome to use it. We will provide you with a detailed kit list when you book on the course. You can read our “whats included” and kit list page. We do not include accommodation with this course. For a variety of different accommodation options in Snowdonia, from camping to nice hotels, visit the link at the top right of this page. I have written an article on the skills needed to move from indoor to outdoor climbing here.